Charming home complete with beckoning curb appeal! 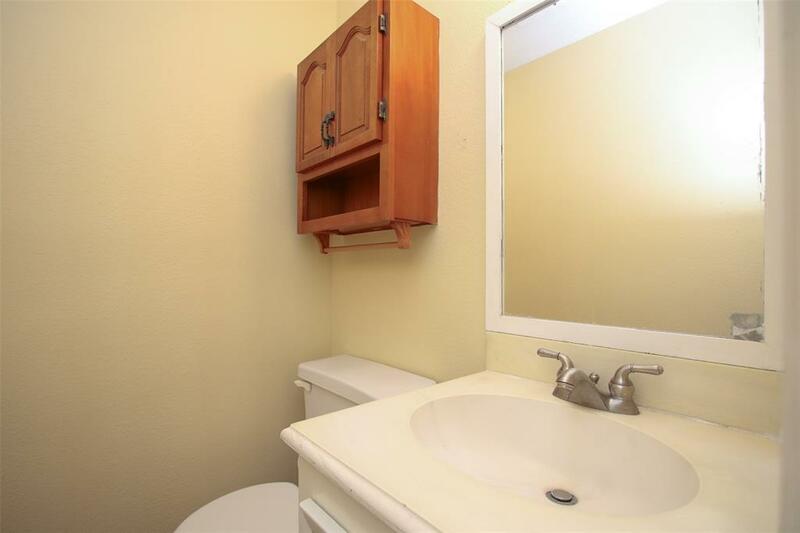 Inside you will find a well designed open floor plan. 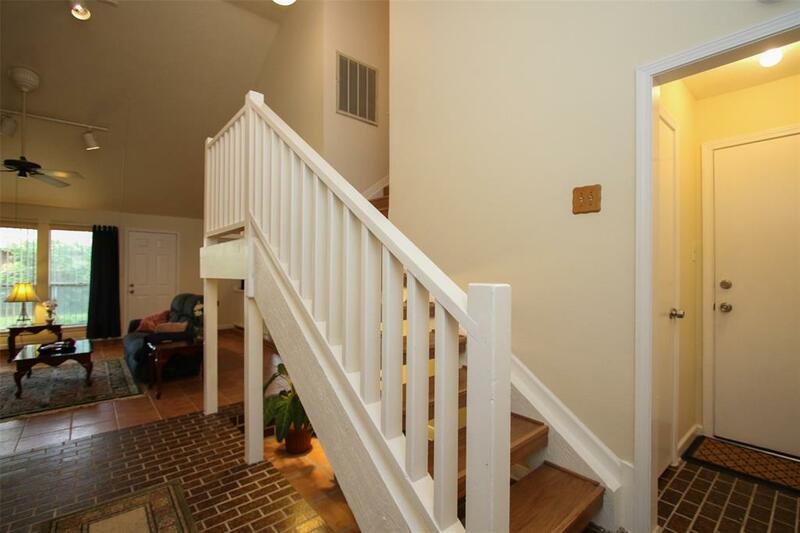 Much sought after spacious downstairs master bedroom. Clean, pristine kitchen updated with recently installed built in oven. "Marble look" Carrera laminate countertops, freshly painted walls & white subway backsplash tile. Raised hearth fireplace delights the eye with partial overlay of tile to the facing. Upstairs are three large bedrooms & a full bathroom.Air conditioning system replaced a little more than 3 years ago. Hardiplank siding on the outside. Easy to maintain! 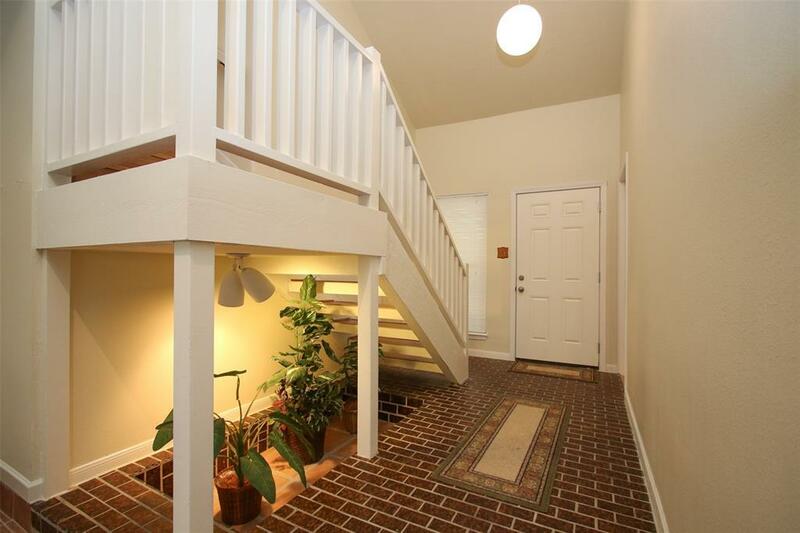 Quiet serene private backyard with cement patio! Double wide driveway for easy parking. Wooded landscaped scenery surrounds the home. 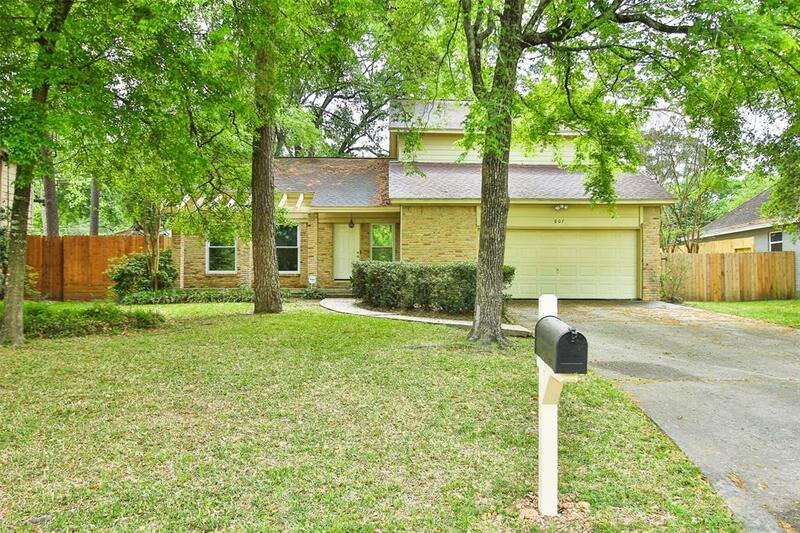 Close to The Woodlands, George Bush Airport, I-45 and Beltway 8. Post Office, shopping, restaurants, medical facilities very close by... Come and see us soon. We will be looking for you and you will be pleased with what you see! Listing courtesy of Ann Koelling Properties.